If you're looking for a solution to avoid sore thumbs, then watch the below video on how this magazine loader will make your shooting experience more enjoyable! 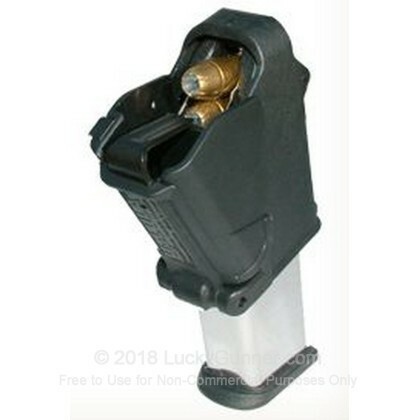 This pistol magazine loader was manufactured by the famed Israeli Maglula will be sure to help you load your magazines quickly and efficiently so that you can spend more time at the range shooting. This size fits handguns ranging from .22 LR to 380 Auto magazines in most single stacked versions. The UpLula loader is designed to bring amazing speed to loading your handgun magazine relieving the discomfort on your thumb to loading. With a simple flick of a switch, you can rapidly load an entire magazine much quicker than by hand!